We offer residential concrete driveways, parking areas and custom patios. We also specialize in stamped and colored concrete. 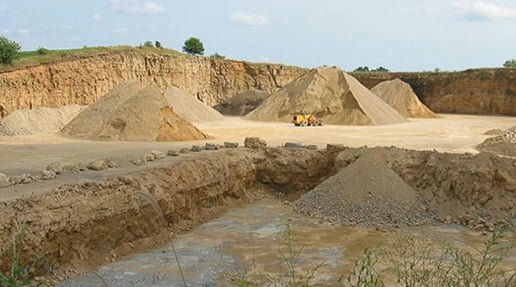 We own our own quarry and have the ability to provide and install several high quality aggregates, from limestone to gravel and even recycled asphalt. 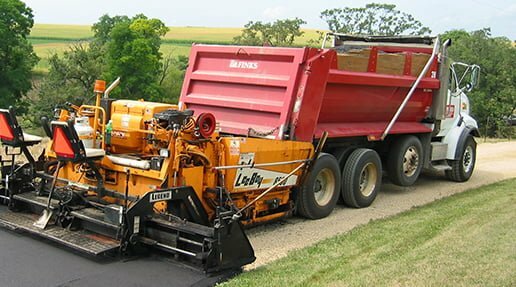 When it comes to Concrete and Asphalt Paving services in the Madison, Wisconsin area, Fink’s Paving is the most preferred contractor by local businesses and homeowners. As a multi-generational family business our many years of experience and superior customer service have kept us going strong. We rely on word of mouth, as that is how you found us here on our website. We invite you to become our newest client! We specialize in Asphalt Paving, Excavation and Custom Concrete services in all types of Residential and Commercial settings. We can prepare the site, weather it be new home foundations, driveways, or commercial properties, pour the concrete or asphalt paving, all with in-house employees and scheduling. A One Stop Shop. Whether you need a garage or new home site foundation, asphalt driveway or a slab for a patio installation, Fink’s Paving, Excavating & Concrete will get the job done right and ensure your 100% satisfaction. With our experience and integrity, you can trust that your project will be handled with enthusiasm, care, and with our sincere appreciation. You can contact us or call us today to schedule an estimate for our services. Our goal at Fink’s Paving is to provide our customers with long-lasting quality, superior value, and professional service. We believe that it’s our job to do the job right the first time. We specialize in Residential Driveways. 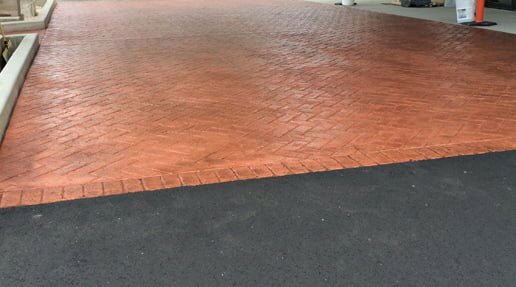 Weather you need a new driveway from scratch, or a replacement of an old worn out Asphalt Driveway Fink’s Paving has been your local Paving Company for over 40 years. If you’re looking for concrete flatwork you’ve come to the right place. Call Fink’s today for Driveway’s, Patios, Sidewalks, Basements, Garage Floors, Stamped and Colored Concrete. 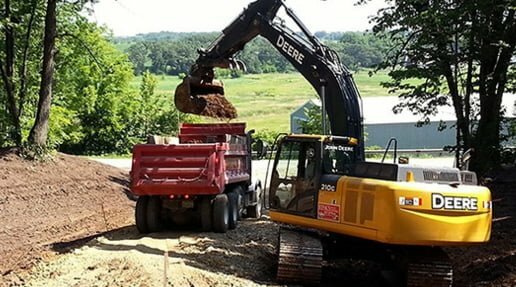 Our Excavating Crew is equipped with the finest and latest models of backhoes, dozers, skid steers, and compactors. We can shape any site to get your project to work. From Commercial to residential; farm work to house additions, and everything in between. Just contact us to set up an appointment to get your project underway. Contractors and homeowners have relied on Fink’s Paving, Excavating & Concrete to supply them with high quality shale & dirt fill, various limestone gravels, limestone fines, and recycled asphalt. We provide reliable service and have the equipment to get nearly every job to completion. Are you a Builder or Remodeler looking for a total solution?